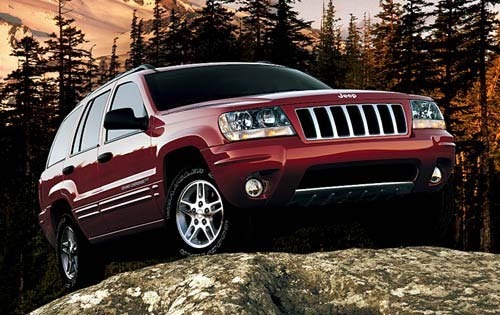 Chrysler announced on Friday that is recalling certain model-year 2002 through 2004 Jeep Grand Cherokee and model-year 2002 through 2003 Jeep Liberty SUVs due to a dangerous airbag deployment defect. Specifically, a failure in the airbag control module could cause the front airbags or side curtain airbags to inadvertently deploy while the vehicle is in operation. Not surprisingly, unintended airbag deployment may increase the risk of injury and/or the possibility of a crash. The recall affects a total of 919,545 vehicles worldwide. Of the SUVs involved in the recall, 744,822 were in the United States; 49,430 in Canada; 21,828 in Mexico and 103,465 outside of North America. The affected Jeep Liberty vehicles were manufactured from January 9, 2001 through March 28, 2003, while the Jeep Grand Cherokee SUVs were manufactured from February 13, 2001 through May 23, 2003. The safety recall is the result of an October 2011 investigation conducted by the National Highway Traffic Safety Administration. The original probe only included Liberty models, but was expanded to incorporate Grand Cherokee vehicles in January 2012. The probe discovered 215 cases of unintentional airbag deployment, 81 of which resulted in minor injuries. The NHTSA’s investigation did not find that the inadvertent airbag deployment caused any crashes. Chrysler will begin notifying customers of the recall in January 2013. Dealers will install a supplemental jumper harness to the airbag control unit, free of charge. In the meantime, owners may Chrysler at 1-800-247-9753 or the National Highway Traffic Safety Administration Vehicle Safety Hotline at 1-888-327-4236. The Jeep Liberty was involved in another substantial recall earlier this year when it was recalled for a suspension problem. The recall was initially launched in March and later expanded in June, affecting over 346,000 model-year 2004 through 2007 Liberty vehicles. Aside from Liberty-related recalls, the NHTSA announced that it was investigating 112,000 model-year Jeep Patriot SUVs due to an engine stalling issue. The safety agency confirmed that it has received 12 complaints so far, the bulk of which occurred while driving at highway speeds of 65 miles per hour or more. The investigation may result in a safety recall if the NHTSA determines that one is necessary. Additionally, Michigan-based automaker also recalled nearly 2,000 model-year 2012 Jeep Patriot and Jeep Compass SUVs over a fuel tank defect in April. The dangerous flaw could result in fuel leakage and possible a fire, according to documents filed with the NHTSA.